Optimized Plant Mediated Solutions (OPMS), a company from Atlanta, Georgia, takes pride in their OPMS kratom products due to their unique procedure of cold extractions. They claim that their OPMS, organically purified Mitragyna Speciosa, products are natural and unmodified. Furthermore, they make use of the natural process to preserve the features of the plant’s alkaloids through cold extraction. This unique extraction process that they incorporate ensures that 95 percent of the leaf’s alkaloid levels are retained. They are a famous seller of dissolved extracts and capsules, and they claim that they are the only company that tests each batch of alkaloid levels to ensure the quality of their products. This company has their standards of alkaloid that the others do not have. Other than testing the alkaloid levels, they also test the kratom for its content as to whether it has feces or metals. They filter their products to get rid of any foreign object. They developed a process of grinding their products into a fine powder to allow more surface area to make it richer. That is why you can expect that their capsules or shots contain higher amounts of kratom. The packaging came from the facilities that are under the GMP compliance which is also FDA registered. They sell their products in capsule, liquid, or powder form. Aside from their kratom products, they are also offering kratom alternatives that are as good as their kratom counterparts. These alternative products are OPMS Silver Mitragyna Javanica, OPMS Silver Cats Claw, and OPMS Silver Hirsuta. The OPMS kratom silver highly affects the user’s energy levels and mood. It can make a person happier and more enthusiastic. Many people use this product to cope up with the stress they have to go through in a day. Users claim that the effects last up to 10 minutes. Compared to other strains, this product provides more energy, a boost in the mood, and mental endurance. The effects are comparable to Maeng Da. OPMS kratom silver is available in two variations, the extract, and the non-extract. Most users say that the extracts provide a better result. However, there is no difference between the results whether it is in an extract or powder form. The only difference is that the chemical included in the non-extract is not of high-quality. This variant comes in three blends namely Malay “Special Reserve,” Maeng Da, and Thai. The most popular variation of the OPMS Gold is the liquid form which consists of concentrated kratom that is taken in a single shot. This shot comes in an 8-milliliter bottle. The adverse effect is the high-concentration itself because the shot contains high amounts of kratom. When taken in high doses, the result can be lethal. 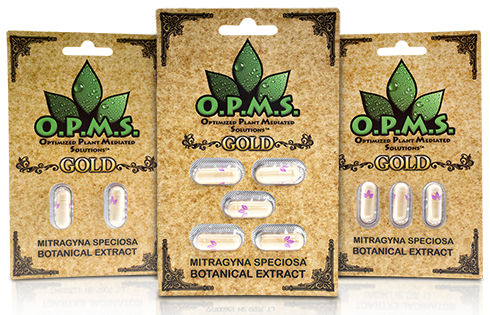 Some customers say that that OPMS Gold capsule is even stronger than its liquid form. That is why the effects can be more dangerous. The OPMS kratom products promise to provide enhanced strain benefits and long-lasting effects. However, you have to be cautious about buying this type of product. For this reason, it is better to consult with your doctor first before the consumption of OPMS kratom. Highly Efficient or Highly Hyped? 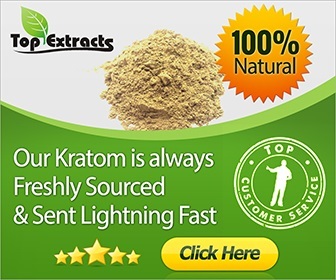 Since the effects of their products are more efficient compared to different variants in the market, the prices of their OPMS kratom and other types are distinctively higher. OPMS focuses mainly on the extraction of 7-hydroxmitragynine, which is an alkaloid found in kratom that has an effect same as with opioids. The isolation of this alkaloid produces heightened euphoric and analgesic effects. Other than that, the company produces its kratom products through biological enhancement. For this reason, it is inevitable that some people have become skeptical about the OPMS kratom. However, the purification process is just an advertising tactic to make the OPMS kratom product more desirable. They direct their products to those who want gluten-free products. Whether in liquid or capsule form, OPMS kratom products are highly effective. Aside from the mentioned OPMS Gold and Silver, other variants include OPMS Liquid and OPMS OPK Kava. Before you jump in on the bandwagon and purchase kratom products from OPMS, it is best to do your research.